Crisp air at MontagnAnimata, something different every day. The itinerant shows will take you on 3 thematic paths: the Forest of Dragons, the path of the Distracted Shepherd and Geotrail Dos Capèl. You are at 1650 m of altitude, in the mountains at Gardonè: 15 minutes from Predazzo, in Val di Fiemme, on the Trentino Dolomites, UNESCO Heritage. 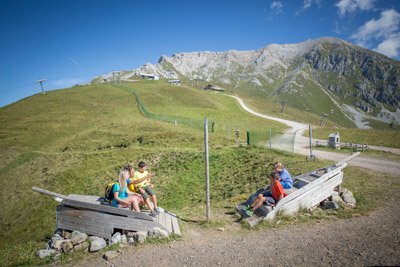 You can choose a walk on these easy paths which are ideal for families and children, enjoy yourself together with strange, fun and unexpected characters. Some know what they’re doing, others are like characters out of a book. 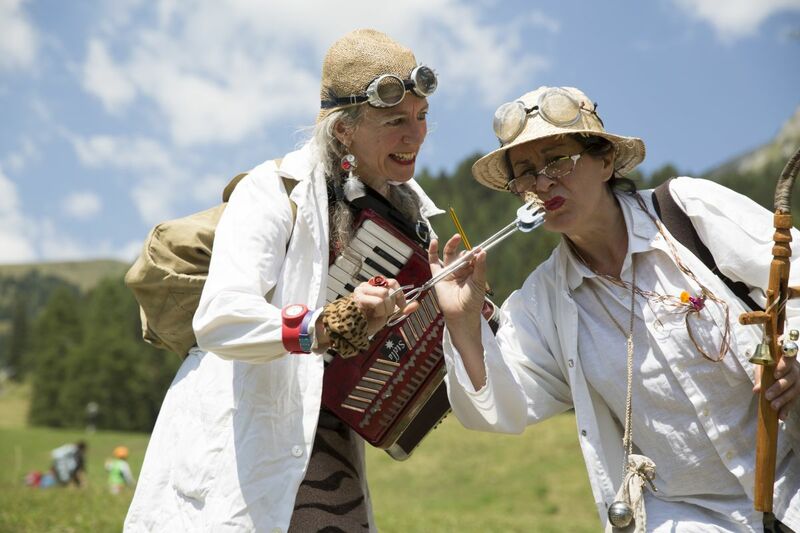 The itinerant shows along the paths are planned for: Sunday, Monday, Tuesday and Wednesday. 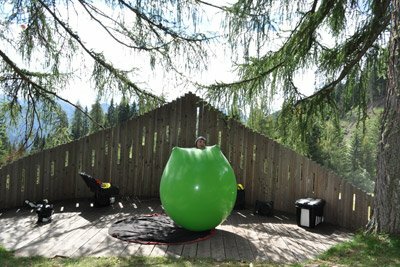 The shows on Thursdays are situated in the natural amphitheatre, not far from the Predazzo-Gardonè bubble car. All the shows are free, there is no need to book. 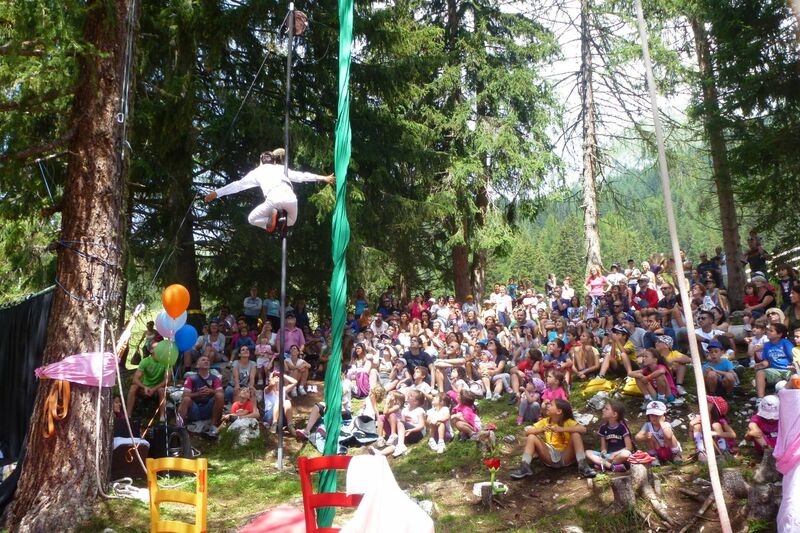 Shows for everyone, families and children at Gardonè. 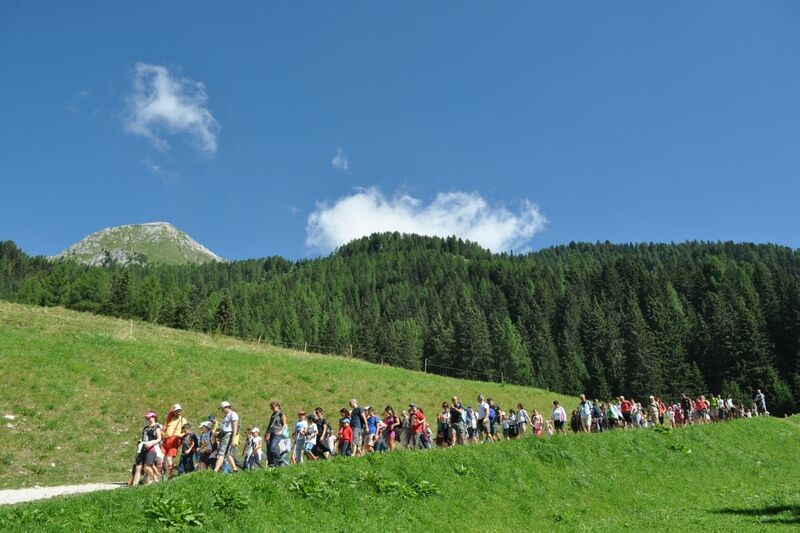 Itinerant or along the paths or in the amphitheatre you will enjoy yourself like crazy. Six months, not one less. Thanks to his amazing camouflage techniques, the world’s first dragologist was able to live in the den of a dragon family. How many strange things has our Nikolaus Drache seen? 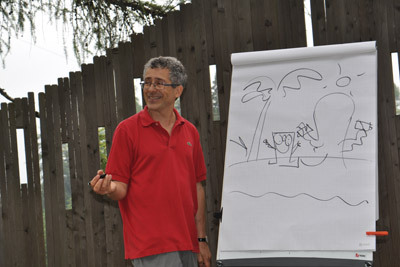 It happened on a peninsula in Southeast Asia, while he was on the trail of a furry Dragon. It all began from there. 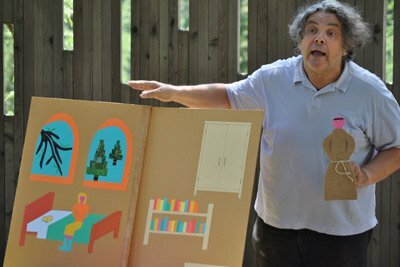 Prof. Drache’s itinerant show is ideal for all the family. It is free and you don’t need to book. Walk along the path of the Dragon Forest, it is an easy walk for children and families, it will be even better with the itinerant show. A vagabond clown, in flesh and blood. He travels light, with a red bag, a blue suitcase and a small accordion. When the music starts, Bergamotto plays. He plays with his eyes, nose, hands and legs. A fantastic time begins, in which we lose trace of reality. Wood is alive. It’s porous, scented and resinous. At times it’s dry, hard and seasoned. 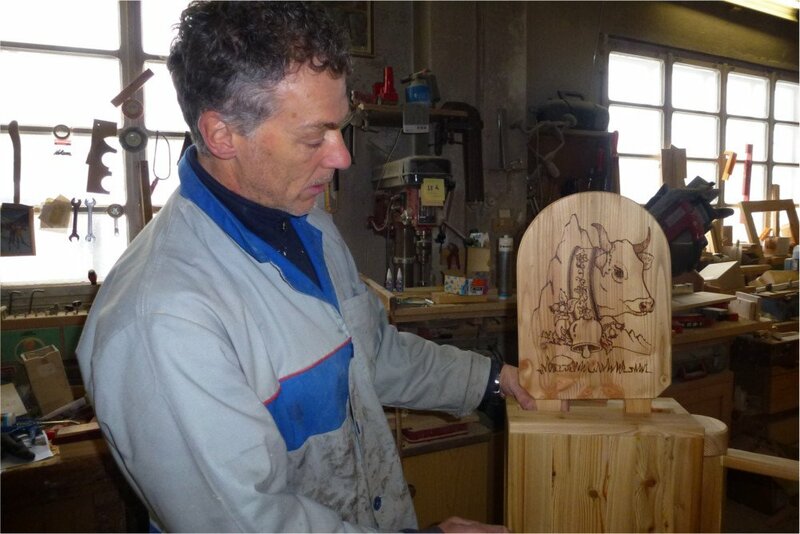 With Marcello you will learn which tools are used to cut, smooth and assemble it to make works of art and everyday objects. Normally, chairs, tables, household furniture and roof structures are made from wood. To make large or small objects, a carpenter’s workshop is never without a measuring tape, a pencil, a penknife, inspiration and imagination. The itinerant show of “There’s life in wood” is ideal for all the family. It is free and you don’t need to book. Walking along the path of the Distracted Shepherd, an easy walk for children and families, will be even better with the itinerant show. 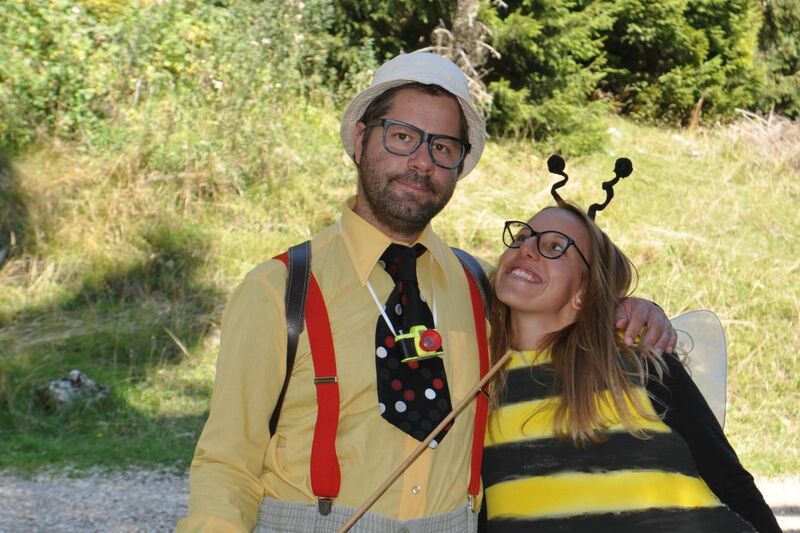 Professor Propolìs goes around saying that he has seen a giant bee. Nobody believes him, nobody. And you? Are you ready to believe him? It really does exist! But don’t worry. It is a little bee, oops, a big bee, who is so friendly and kind. 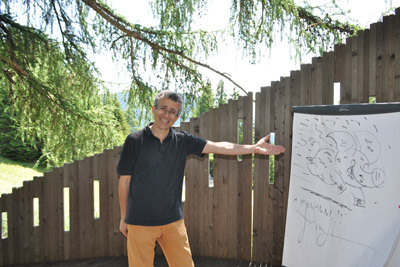 Come on, come and look for it and help Professor Propolìs and Corrado. 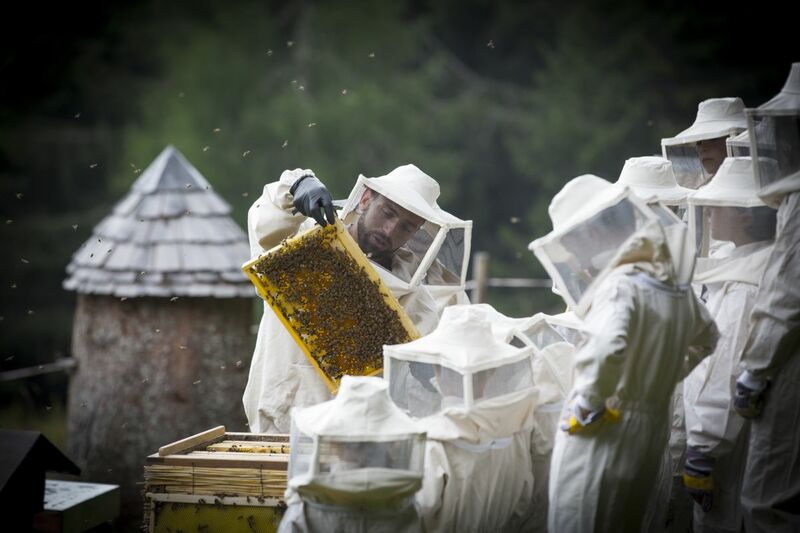 Gardonè’s number one beekeeper.Prof.Pròpolis’s itinerant show is ideal for all the family. It is free and there is no need to book. 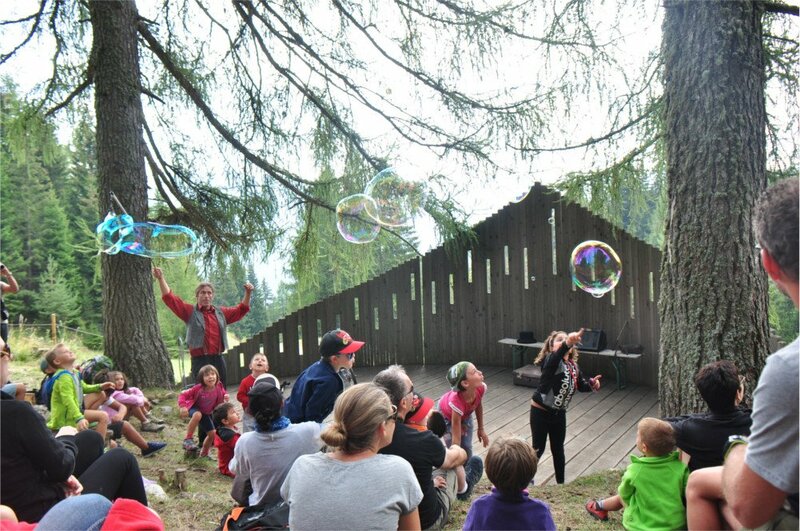 Walk along the path of the Distracted Shepherd, an easy walk for children and families, it will be even better with the itinerant show. Plant a little tree, give it a name, see it grow and learn how to read what it says about itself. Discover what the roots, trunk, bark and pine needles are telling us. With a real woodcutter what a marvel. Sergio knows which trees need cutting. Cutting the trees keeps the woods healthy. The wood is needed for floors, roofs, tables and chairs. For every tree cut 3 are planted. We will do it together, come and learn. How does it work? Dig a hole, so the roots will find soft terrain. Plant a little tree and cover it nicely with soil. Whoever is lucky enough to plant a tree as a kid will remember doing so for the rest of their life. 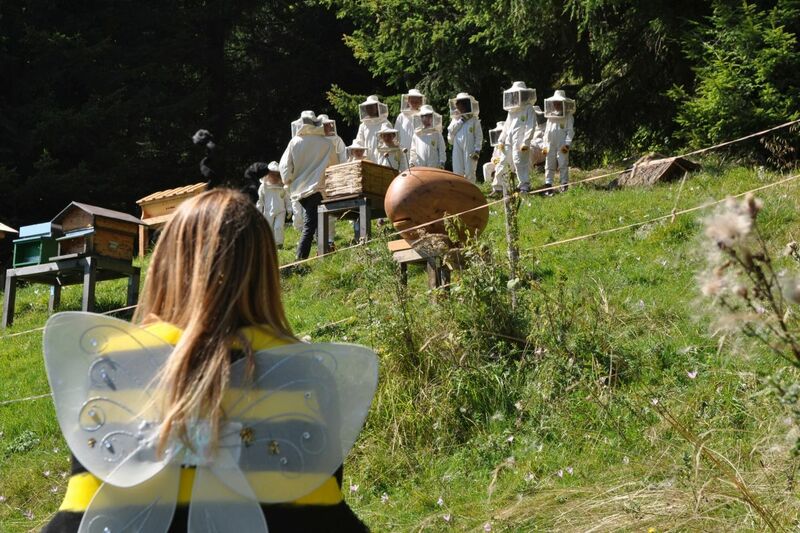 On the Latemar mountains, in Trentino, you will be able to plant a tree and smell the perfume of mountain soil. 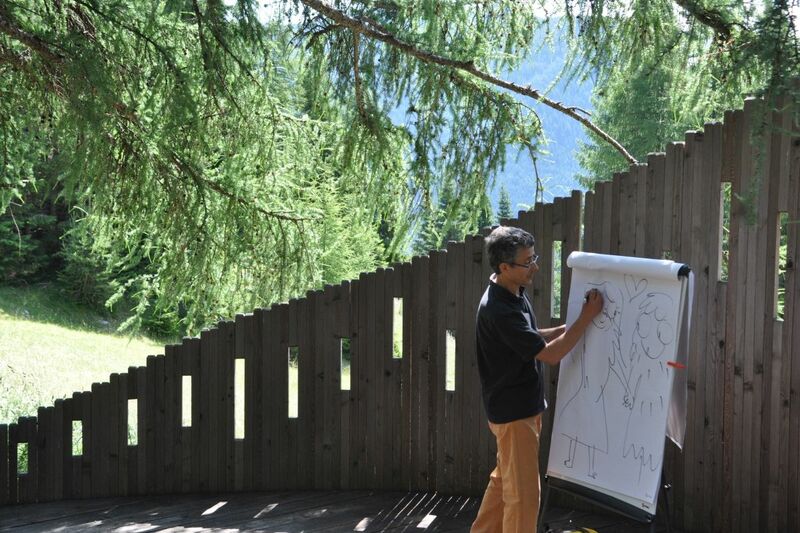 The itinerant show of how to plant a tree is ideal for all the family. It is free, you don’t need to book. Let Sergio show you around. With him you will find Mrs Matilde and a Cais guide. 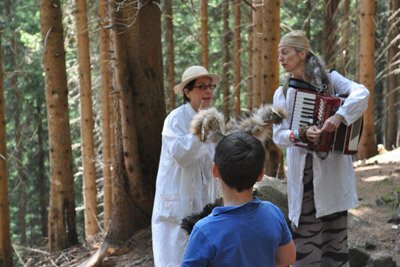 Walking along the path of the Distracted Shepherd, an easy walk for kids and families, will be even better with the itinerant show. Have you ever wondered how butter and cheese are made? With Albina and Alberto, you will discover how milking was done long ago, how milk is processed and how cows and goats are led to pasture. This is the craft of the shepherds and herdsmen, who watch over their livestock in the mountains. 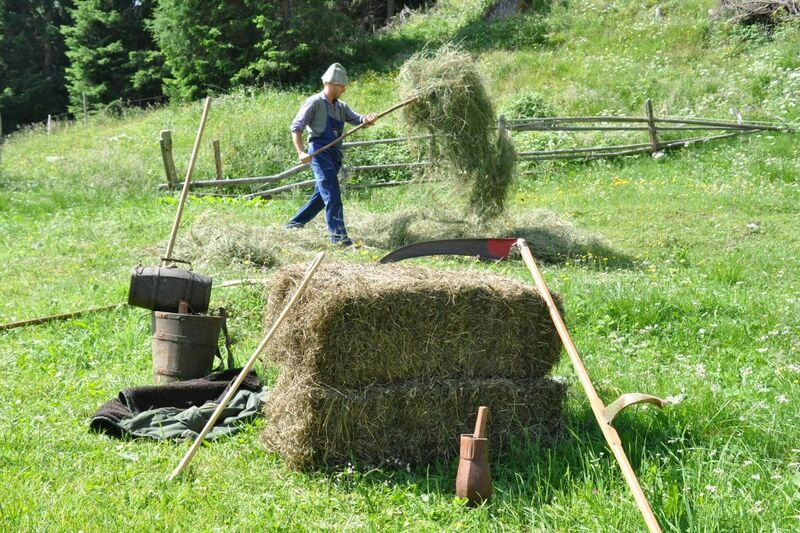 You will see how a rake is used and how hay is made. 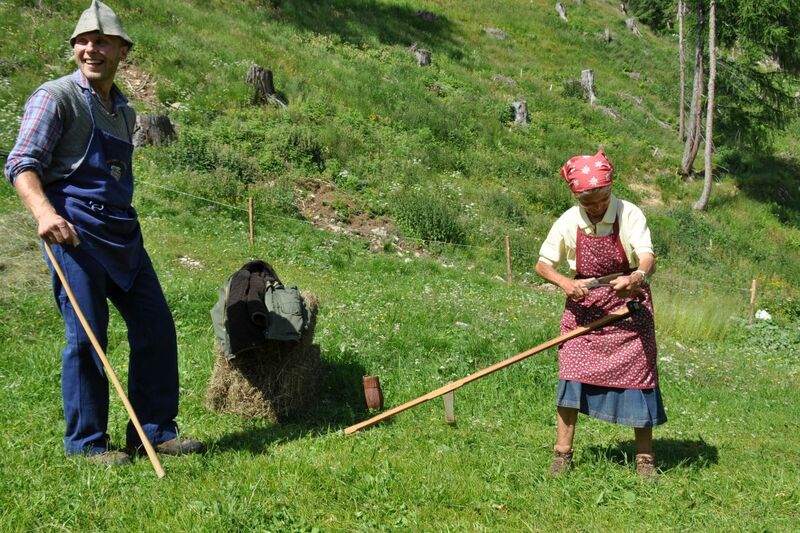 Haymaking is an art in Val di Fiemme. 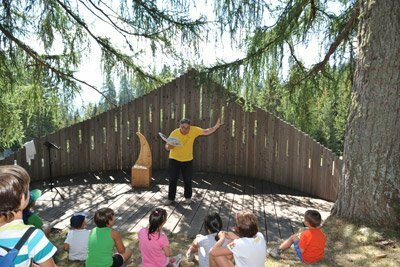 The itinerant show of shepherds stories is ideal for all the family. It is free and you don’t need to book. Walking along the path of the Distracted Shepherd, an easy walk for children and families, will be even better with the itinerant show. HAVE YOU EVER SEEN A DAHÙ? One of the scientists is uncertain: is there any point in continuing to search? Her colleague is convinced: Let’s continue. We’ll find it, you’ll see! The other one falters – perhaps she’s tired or has lost hope. Will the children be able to encourage her? If the scientists give up, our Dahù will not be saved. We need you and your sharp eyes. 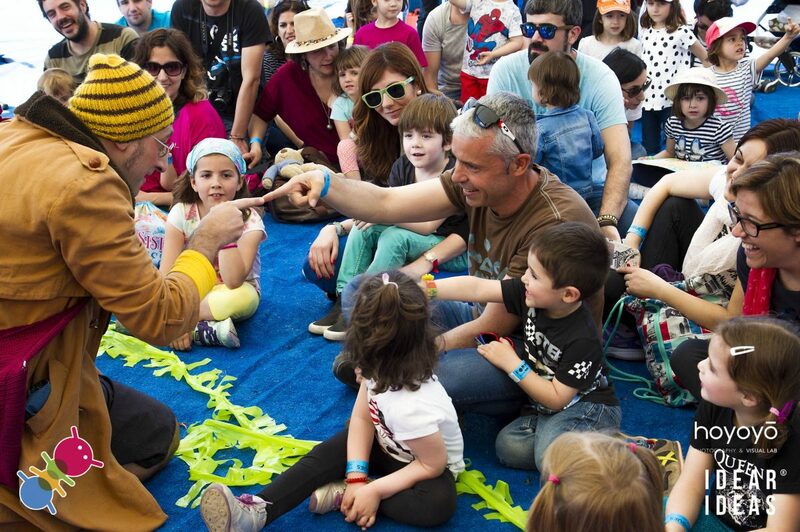 The itinerant show is ideal for all the family. It is free and there is no need to book. Walking along the path of the Distracted Shepherd, an easy walk for children and families, will be even better with the itinerant show. 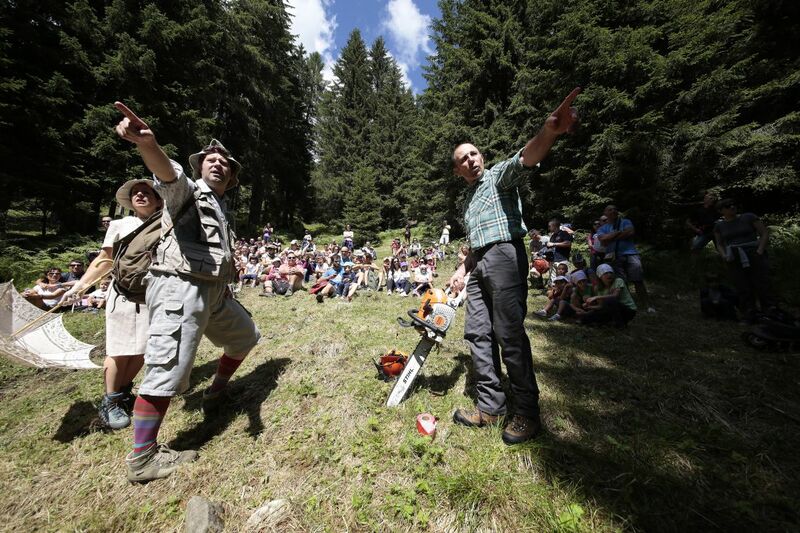 The first high-altitude scientific debate for families and children will be held on the Latemar. Two characters, who have met by chance, will have a debate. Which one will be proved right? Are tradition and mystery as fascinating as science, or perhaps even more so? The geology of the Triassic period will be close at hand. 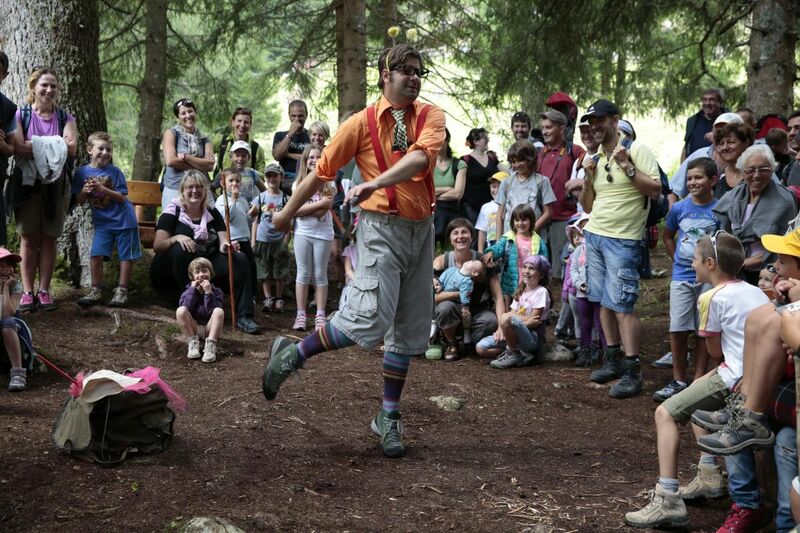 The itinerant show along the path Geotrail Dos Capèl is ideal for all the family. It is free and you don’t need to book. 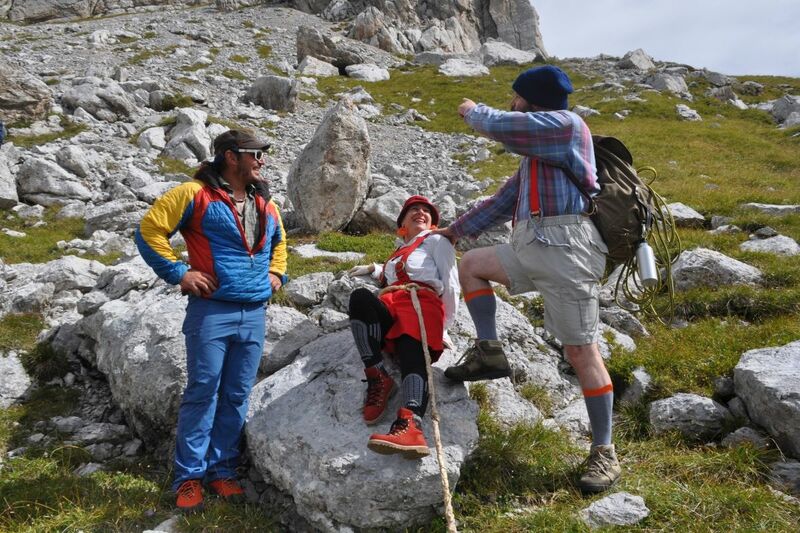 Walking along the Geotrail Dos Capèl path, a walk of medium difficulty for children and families, will be even better with the itinerant show. Shows at the amphitheatre are ideal for all the family. They are free and there is no need to book. Just as you get to Gardonè, take the little road to the left, and once again to the left, you will find our open air amphitheatre. Sit on a tree trunk, or on a rock or else on the meadow. Let the thousands of different stories capture you. Who is your hero? Ever since he was born, Hogart has had two: Sir Lancelot and Merlin the Magician. He himself, the only one in all the kingdom who remembers the Sacred Code. As we listen to his tale, we too will be armed, with paper and felt-tip pens. Everything we need to draw people and animals. No dragons? Who knows! 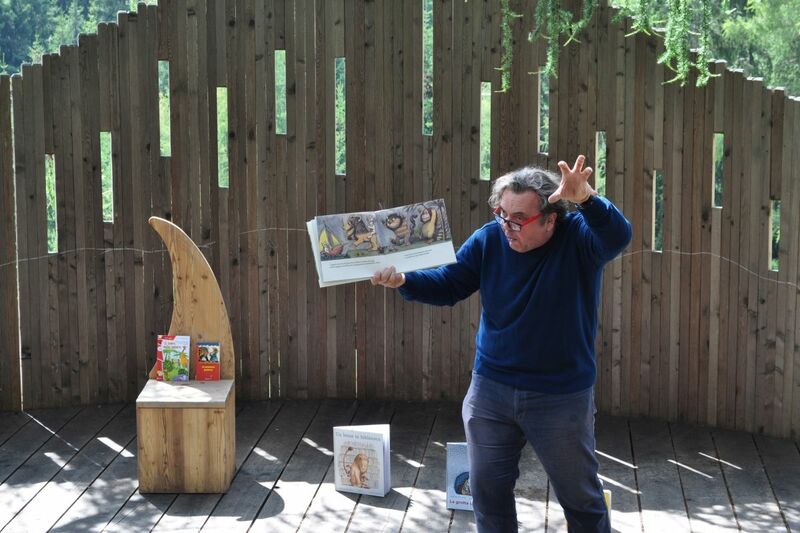 Pino Costalunga will read stories about the dragons that used to roam around the Latemar, near Passo Feudo. Dragons that met other extraordinary beings, undisputed witnesses of strange and mysterious events that occurred up here, among the rocks, pastures and peaks. Perhaps they still occur, who knows? Rubbery face, sheer madness. Otto il Bassotto creates amazing scenes from just three ingredients: comedy magic, imagination and balloons of every shape and size. Here is a surprising “vacuum-sealed” clown who loves getting inside a large balloon. He is convinced it will make him last longer: he says it protects him from the cold, reduces his wrinkles and makes him jump for joy. Ernesto is a rabbit, Filippo is a wolf. Unlike normally, Ernesto is not afraid of anyone; he could be described as a ruffian. Filippo runs and hides as soon as a leaf falls. He trembles, panics and flees with his tail between his legs. Can they ever change if they were born like this? Strange and mysterious beings don’t just live on Latemar; they can be found throughout the whole wide world. 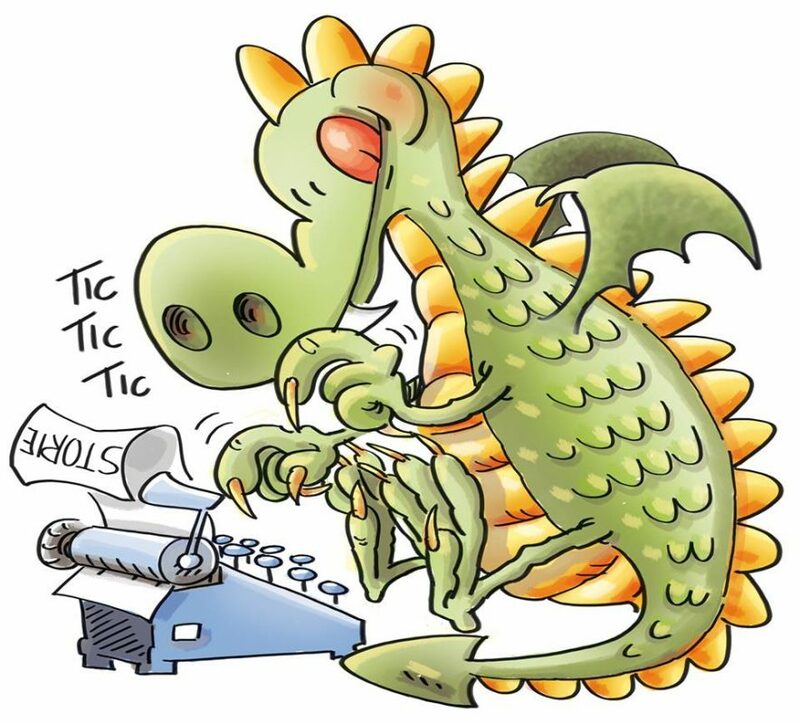 Did you know that there were once alligators with shiny white skin in the waters of the Mississippi? In Sweden, Norway and Finland it is not unusual to see a Troll. In Haiti there is a huge monster known as Bagai. If you don’t know about these, step forward, come and listen. 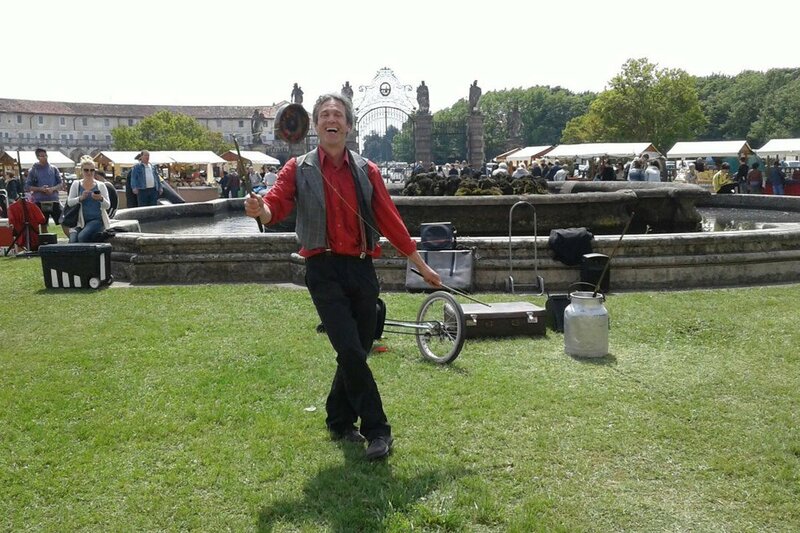 Juggler, entertainer and tightrope walker. 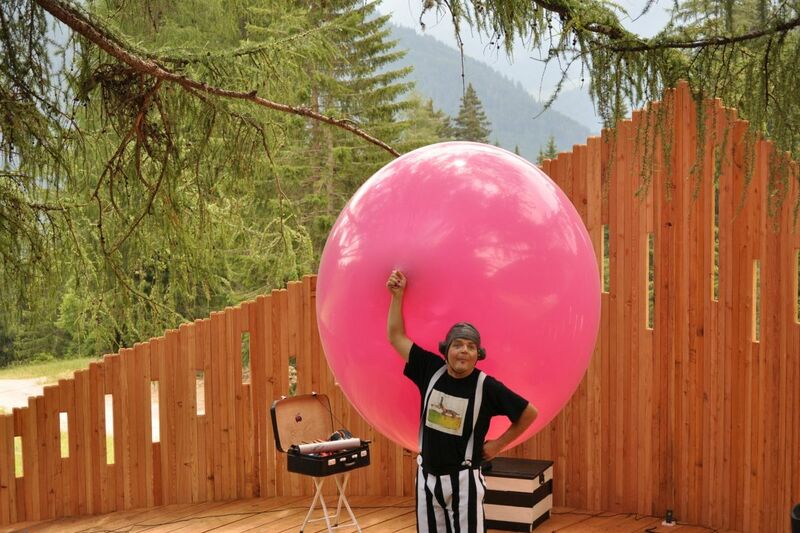 He offers a colourful show which lets families and children enjoy themselves. He loves danger, just like the best jugglers. He amazes his audience with dangerous balancing acts and interacts with his audience from the top of his giant unicycle.